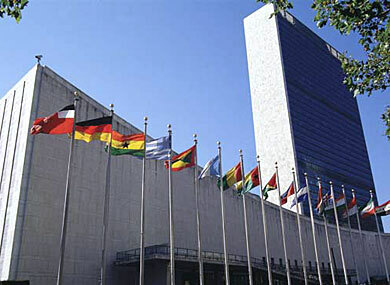 A report released Thursday by the United Nations High Commissioner for Human Rights calls on countries to abolish laws that criminalize homosexuality and to include sexual orientation and gender identity in comprehensive anti-discrimination legislation, among other recommendations. Commissioned by a historic resolution on anti-LGBT discrimination passed by the UN Human Rights Council in June, the first-of-its-kind report from Navanethem Pillay, the U.N.’s top human rights official, provides an overview of discrimination and violence around the world, including in the United States. The 25-page report reviews applicable international standards and obligations before documenting the current status of anti-LGBT discrimination and violence, followed by a list of recommendations based in international human rights law. “Violence against LGBT persons tends to be especially vicious compared to other bias-motivated crimes,” said the report, citing work from the Organization for Security and Cooperation in Europe. While noting that more than 10 countries including the United States have moved to repeal laws criminalizing homosexuality since 2000, the report points out that 76 countries retain laws criminalizing people for sexual orientation and gender identity. The death penalty may be applied for consensual homosexual conduct in at least five countries. The High Commissioner recommended that the U.N. Human Rights Council keep up to date about violence and discrimination linked to sexual orientation and gender identity, and encouraged investigations and reports within the U.N. system to continue. Advocates hailed the report, released just one week after the Obama administration announced steps to more fully integrate LGBT human rights into its foreign policy. The White House issued a presidential memorandum and Secretary of State Hillary Clinton told a U.N. audience in Geneva that LGBT rights are human rights. Read the report here. The document is also available in Spanish, Russian and Arabic.